Get your institution DASCA-accredited to join the elite global network of leading-edge Data Science educators. Ivy league institutions and many other renowned universities, technology, and business schools of the world are DASCA-accredited. A DASCA accreditation helps universities and institutions join the league of the world’s other most renowned educators, and earns them the opportunity to power their undergraduate and graduate programs with DASCA’s most advanced Data Science credentials. Students of DASCA-accredited institutions earn the QualiFLY™ privileges to fast-track their chosen DASCA certifications, and prepare themselves for the the very best of Data Science and Big Data jobs internationally. Needless to say, students certified as Big Data Analysts and Big Data Engineers by DASCA join the happening hot top layer of leading Data Science professionals of the world. DASCA–Accredited institutions are also the privileged hosts of the prestigious DASCA International Centers of Data Sciences that operate the DASCA global Data Science Talent Breeder initiative. The DASCA University Accreditation Program is open for Universities, Higher Education Institutions, and Government ICT Academies. The CredForce worldwide network and its global partners, are charged with the responsibility of strengthening the DASCA Institutional Network worldwide to widen and deepen its connects with thousands of bright and talented university and college students to help them start off great Big Data careers. The 2018 DASCA University Accreditation Program is open now for governments, universities, and vocational training institutions in several countries. Click here to apply now for a DASCA-Accreditation. Special policy provisions are in place to assist universities and governments embed DASCA Certification training programs and credentials into their academic build affordably and conveniently. DASCA offers complete assistance to accredited institutions to enable them to convert their students into high–caliber DASCA credentialed Data Science professionals right within their campuses. DASCA is ambitiously focusing on its mission to build a white–collar Big Data talent–pool of 25000 DASCA credentialed Data Science professionals in Asian and African countries alone – comprising a legion of top–quality DASCA certified Big Data Analysts, Data Scientists, and Big Data Engineers. DASCA-Accredited universities and institutions get world-class resources and knowledge to help their students, alumni, and graduates begin great careers in the local and international Data Science space. In addition to offering DASCA Certifications embedded in the curricula, DASCA-Accredited universities and institutions also get DASCA assistance in crafting specially–designed Big Data majors for their various undergraduate and graduate programs, including BS and MS in Big Data and MBA. Indeed, DASCA-Accredited institutions obtain access to opportunities of engaging in hi–impact projects and to contribute to national and international economic growth. Not to be forgotten, considering the global nature of the DASCA initiatives, the DASCA credentialed Data Science professionals from DASCA-Accredited universities and institutions also join the prestigious CredForce Big Data talent pool and they become internationally mobile talent resources. DASCA-Accredited universities and institutions are really the chosen ones. 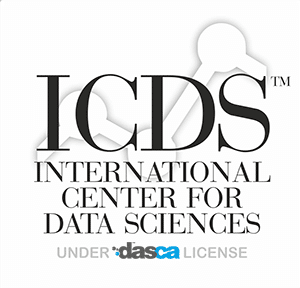 They are licensed by DASCA to host the prestigious International Centers of Data Sciences (ICDS™) that run a variety of Big Data talent breeding and credentialing programs on globally respected standards of the Data Science Council Of America. Every new ICDS™ launches off with an on-campus high-impact DASCA Big Data Seminar for students and faculty staffers. Bright undergraduate and graduate students of DASCA-Accredited universities hosting the DASCA–powered International Centers of Data Sciences can undergo the Big Data Analyst and the Big Data Engineer Certifications of DASCA affordably, conveniently and swiftly. DASCA provisions for a slew of scholarships and fast-tracked credentialing norms for bright students to actively help them in joining the league of world's top–billed Big Data Analysts and Big Data Engineers. DASCA accreditation helps an Institution access the world's first, only and the most rigorous, 3rd party knowledge body for the Big Data profession–the DASCA Essential Knowledge Framework (DASCA-EKF™). DASCA accreditation also enables an institution access systems, content, and architectures of the world's most rigorous Big Data training programs benchmarked on the DASCA-EKF™, Release 11-1.3–which means that the institution, through its DASCA accreditation, can actually roll out exactly the same international training programs that are on offer across the world– and in quick time of 60 days from start to finish. 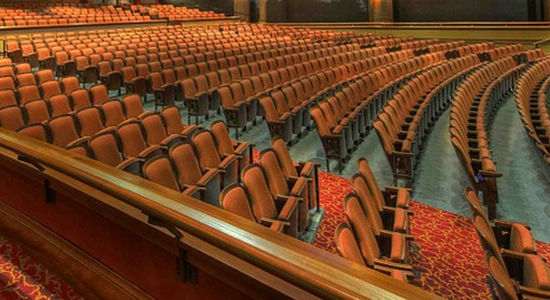 An institution or a university having a DASCA accreditation actually immediately adds the new knowledge discipline of Big Data and hence a Faculty or Department through DASCA's high–involvement assistance. This facilitates networking with local industry and also adds to the brand equity of the institution. DASCA actively assists a DASCA–accredited institution set up a co–branded DASCA–XXXX Big Data Center within its campus. A DASCA partner university or an institution becomes an automatic choice for the government or any Big Data industry stakeholder for large scale training projects or research or consulting projects. 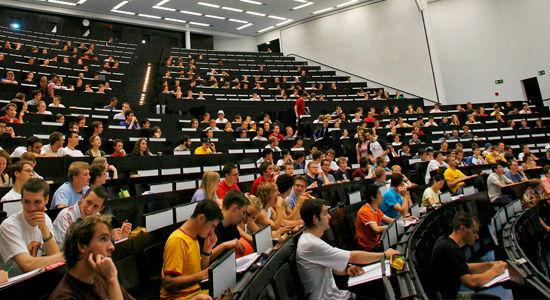 For instance, DASCA Partner University –since it is the only such institution in the country dedicated to Big Data capacity building and is aligned to the global standards leader DASCA, is the best candidate for a mandate and funds from a government or the World bank to train fresh Big Data talents or develop employability of young students on a large scale. Similarly, a DASCA–accredited institution is perceived to be best placed to get research projects sponsored by Big Data companies as it is perceived to be having the capabilities. A DASCA–accredited university or institution gets automatic, immediate access to the world's best training programs, curricula, training content, books, instructors' material, business processes, and marketing assistance. This “world-class” translates into starting big, right, and with the tried and tested. DASCA is set for becoming the world's top BRAND in Big Data qualifications, certifications, and capacity development. This BRAND advantage will generate a quick “pull” on the market–and again – translates into starting out as a leader and as an established brand. DASCA's international leadership status and number one brand status gives it the largest mind–share among Big Data policy makers, governments, Big Data companies, and professionals globally. DASCA's Big Data Certifications and the attendant curricula, content, and knowledge are the world's most used, renowned, and the ONLY ones available for international Big Data training and qualification and this advantage flows into the businesses of DASCA Training Providers. For a DASCA–accredited university or institution, this “MINDSHARE” advantage translates into starting out from a position of strength and with much lesser marketing efforts required for generating the first sales. So with DASCA, an institutional partner is never a start–up–because it has the head start advantage. DASCA is the only 3rd party organization in the world that has globally accepted, tested, practiced, and circulated knowledge framework and learning material related to Big Data. This includes books, training material, and other learning aids. In fact all DASCA–accredited universities or institutions now get exclusive access to books and material published by Wiley – under the Wiley DASCA Learning Series – the world's only, first, and the richest repository of Big Data training and learning knowledge and content. This “CONTENT” advantage means that a DASCA–accredited university or institution starts world-class on training content and does not invest time and capital on development of its own training material. Most Big Data educators worldwide suffer from one critical disadvantage – not having any credible 3rd party credential backing up their programs! A DASCA–accredited university or institution stands at a distinct advantage here, as they are dealing with the world's most renowned set of certifications in Big Data delivered worldwide across 183 countries. All DASCA–accredited universities or institutions enjoy world-class and comprehensive DASCA partner assistance and support services founded on a robust Partner Assistance system. 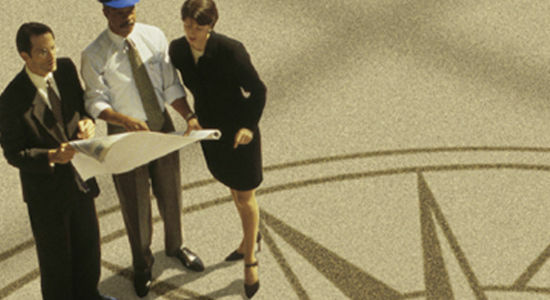 Becoming a DASCA–accredited university or institution now has become a single–channel, 15–day affair, with exceedingly fast and prompt processing of applications and validations etc., handled deftly by expert international teams of CredForce worldwide network, the world leader in business support for credentialing industry. More importantly perhaps, becoming a DASCA–accredited university or institution does NOT mean sinking or locking thousands of dollars in license fee etc., as it happens in other franchising or partner models where principals charge huge sums. DASCA does not CHARGE any license fee now. Instead, DASCA requires DASCA–accredited institutions to buy in advance specific numbers of DASCA Certification Vouchers and charges nominal amounts as the application processing fee and the annual services fee. 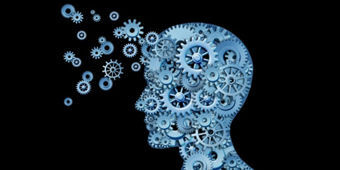 Addition of a new department/ discipline: An institution or a university having a DASCA Partnership actually immediately adds the new knowledge discipline of Big Data and hence a Faculty or Department through DASCA&apos;s high–involvement assistance. This facilitates networking with local industry and also adds to the brand equity of the institution. DASCA actively assists a partner institution set up a co–branded DASCA–International Center for Data Sciences right within its campus. Short–term employability programs for students: A DASCA accreditation is most capable of making current students employable in Big Data jobs right after their graduation. Bachelor&apos;s & Master&apos;s programs in Big Data: An institution partnering DASCA can easily achieve the required expertise and brand renown to introduce value–added diploma and degree programs in Big Data, if a scope is seen. Corporate training programs: A DASCA–accredited institution enjoys the maximum traction for offering high quality training solutions to Big Data companies that always demand innovative solutions to their talent development and talent transformation challenges. Phd & research programs: Higher forms of DASCA accreditations create for an institution an ideal platform to introduce PhD and sponsored research programs related to Big Data. In fact, Big Data has emerged as such a massively multi–disciplinary and cross–fertilized discipline that aspirants from almost any other discipline can be invited to pursue research. DASCA encourages all institutions to suggest how their programs can be benefitted through a DASCA intervention.